Social Signals are very important for ranking factor. we will provide quality work. Our service will bring a excellent result for your business. Our service is 100% safe from Google Penguin and Panda. So our Social Signal help you to get better rank on Google and other search engine. 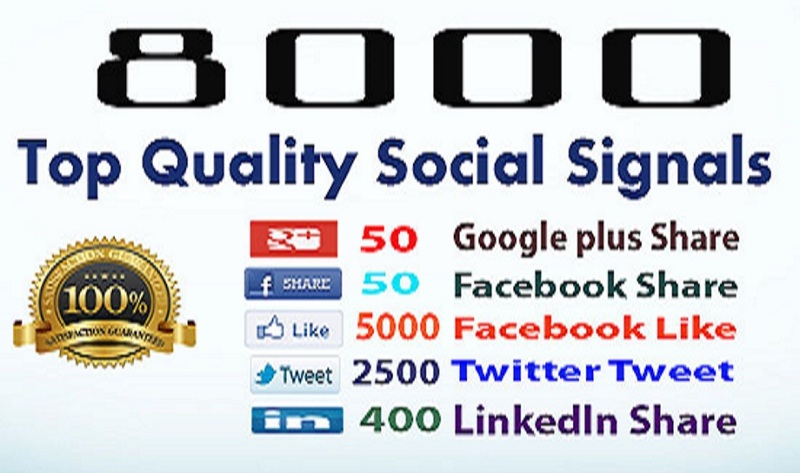 Build best Quality 8000 social Signals. I will provide drip feed service in 3 days. Bring's best result from our service. In this service I will provide 8000 high quality and organic Social Signal from unique accounts. Drip Feed 8000 Social Signals, To Website Improving for 15 days is ranked 5 out of 5. Based on 225 user reviews.